Turn Your Nickels & Dimes Into Dollars & Cents! When it comes to financial housekeeping, everyone could use some professional guidance. Nickel & Dime Bookkeeping, Inc. reaches out to small business owners, nonprofit groups, and individuals by offering dependable, personalized service. Most importantly, with a pair of expert eyes on your books you are able to devote more time to growing your business or enjoying your family. Contact Nickel & Dime Bookkeeping, Inc. for a free one-hour consultation to learn more about how our services can fit your needs. 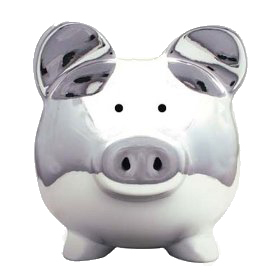 Plus, if you become a new customer, you get this friendly silver piggy bank as our special gift to you! Jennifer Ashley, bookkeeper and owner of Nickel & Dime Bookkeeping, Inc., enjoys the ins and outs of financial record keeping. With over 10 years of experience working with small business owners, she strives for efficiency with time and resources. 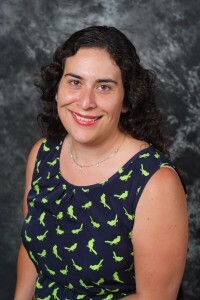 As a QuickBooks ProAdvisor Member, she has 15 years of experience working with QuickBooks Accounting Software, and holds a Bachelor’s degree in Business Administration from Azusa Pacific University. As a small business owner, Jennifer strives for efficiency with time and resources. She works quickly and maintains positive relationships with her clients. Whether you need help with bookkeeping, payroll, tax preparation, or training for QuickBooks users, Jennifer will guide you through the process, answer your questions, and remove any fears you may associate with numbers.